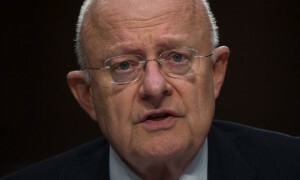 DNI contradicts Obama, NSC on ISIL domestic terror threat in U.S. The chief of U.S. intelligence said Islamic State of Iraq and Levant (ISIL) is capable of launching a Paris-style attack in the U.S., a contradiction of President Barack Obama and his National Security Council (NSC), who have played down the threat. ISIL, which in the past six months has carried out major attacks in Paris and Brussels, has the capability to stage such attacks in the U.S. using local cells to strike in multiple locations, Director of National Intelligence James Clapper said on CNN’s “AC 360”. The November Paris attacks killed 130. The March attacks on a metro station and at an airport in Brussels left 32 dead and 300 injured. Many military officers and civilian Pentagon leaders have been highly critical of Obama’s NSC, headed by National Security Advisor Susan Rice, for its obsessive micromanaging of the U.S.’s approach to ISIL. ISIL leaders would not necessarily give directions for a specific target, Clapper said. Former Secretary of State Hillary Clinton described ISIL as “an evil bunch of criminal thugs who hide in the cloak of religion to dominate” and seize territory, bank accounts, oil and oil production facilities. Clinton’s “real plan” to defeat ISIL, which was posted on social media in March, was widely mocked and ridiculed.